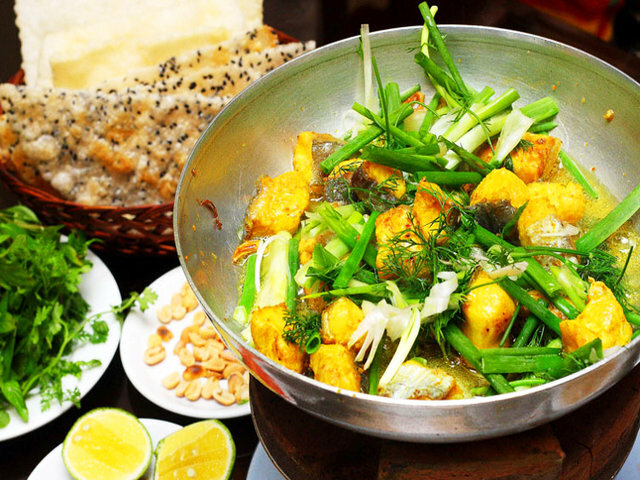 Vietnamese food is distinct and unforgettable. The cuisine relies on a balance of salty, sweet, sour and hot flavours, achieved through use of fish sauce, cane sugar, the juice of kalamansi citrus fruit or tamarind and chilli peppers. Dishes use plenty of fresh herbs but tend not to be overly spicy, as chilli sauces are served separately. 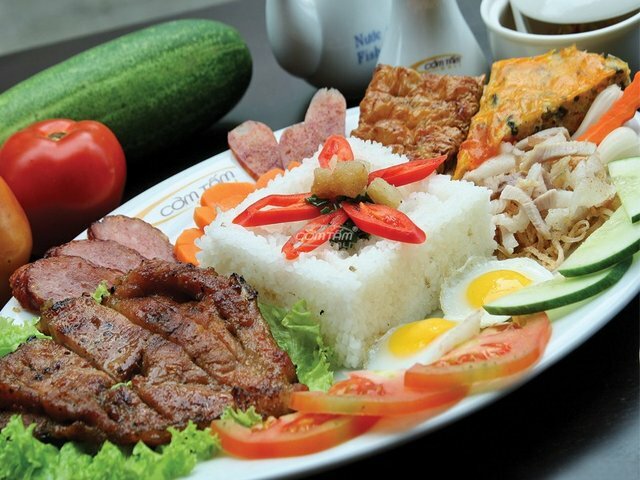 There are 10 best Vietnamese dishes that the first time travelers should try. 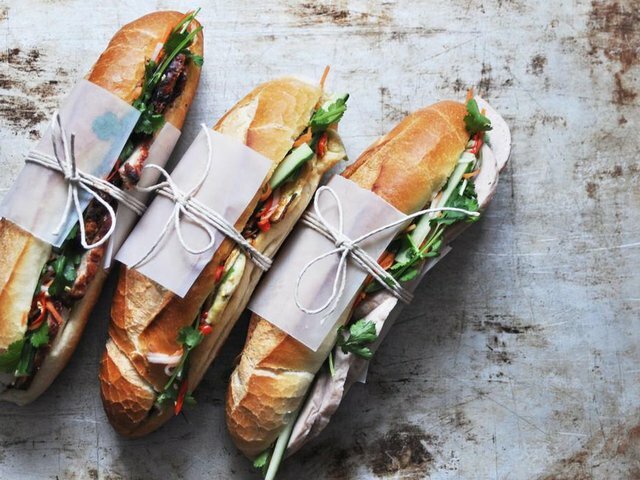 This Banh Mi is filled with greens and a choice of fillings, including paté and freshly made omelette, is so good it’s been imitated around the world. 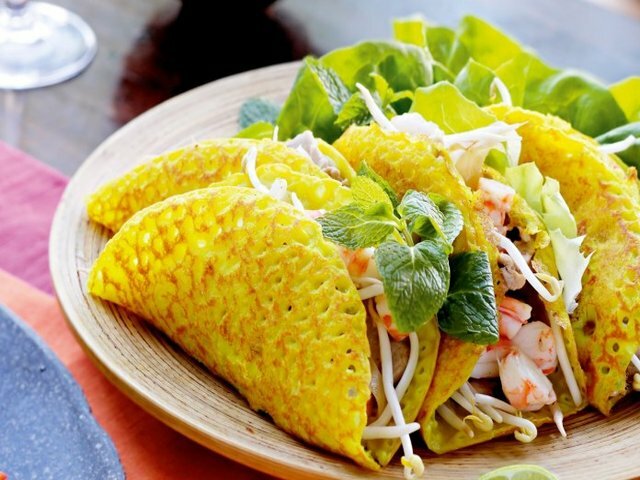 These enormous, cheap and filling Vietnamese pancakes contain shrimp, pork, bean sprouts and egg, which is then fried, wrapped in rice paper with greens and dunked in a spicy sauce before eaten. A Hanoi specialty, you’ will find Bun Cha at food stalls and street kitchens across the city. Essentially a small hamburger, the pork patties are barbecued on an open charcoal brazier and served on a bed of cold rice noodles with assorted foliage and a slightly sweetish sauce. 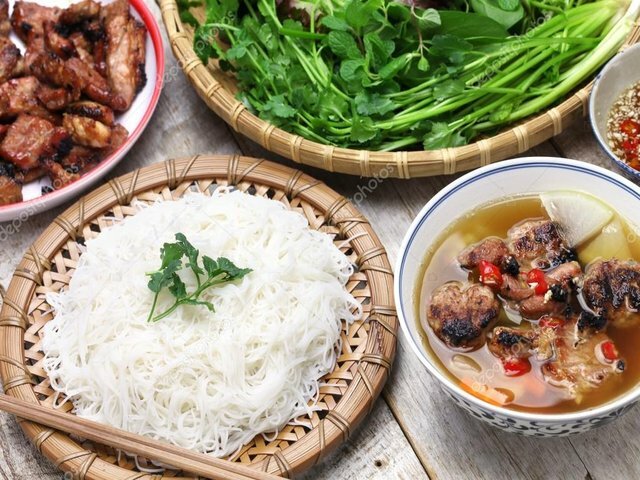 Vietnam’s national dish a the country’s great staple is pho, a noodle soup eaten at any time of day but primarily at breakfast. 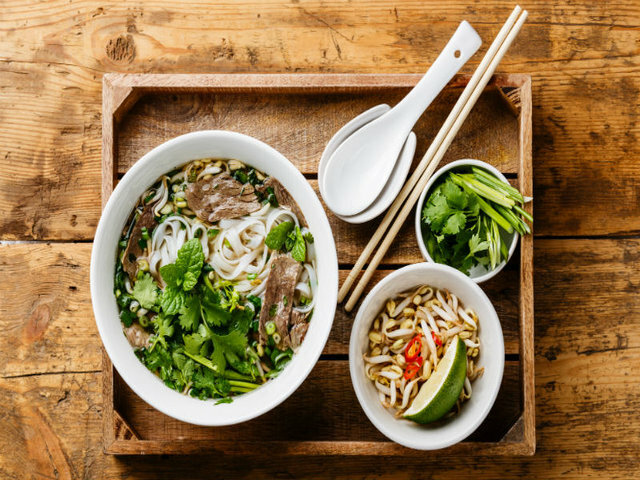 The basic bowl of pho consists of a light beef or chicken broth flavoured with ginger and coriander, to which are added broad, flat rice noodles, spring onions and slivers of chicken or beef. Central Vietnam does it best. 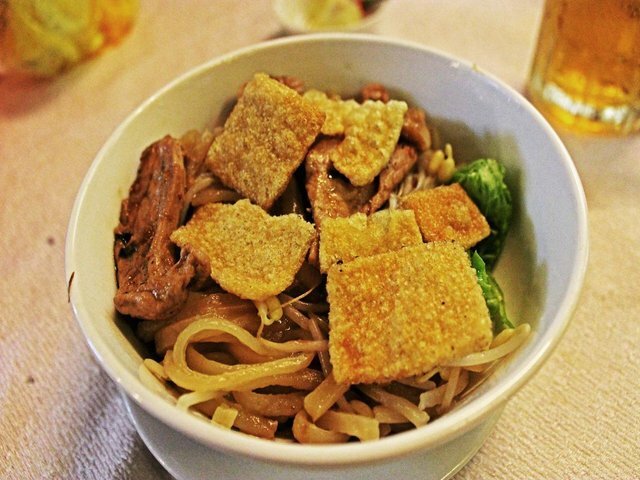 Among Hoi An's tasty specialities is Cao Lau, a mouthwatering bowlful of thick rice-flour noodles, bean sprouts and pork-rind croutons in a light soup flavoured with mint and star anise, topped with thin slices of pork and served with grilled rice-flour crackers or sprinkled with crispy rice paper. Mi Quang is a Vietnamese noodle dish that originated from Quang Nam Province in central Vietnam. In the region, it is one of the most popular and nationally recognized food items, and served on various occasions such as at family parties and Lunar New Year. 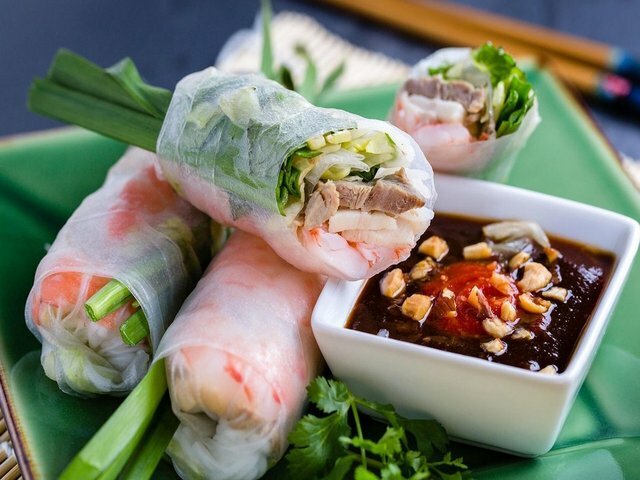 Mì Quang can also be found in many restaurants around the country, and is a popular lunch item. 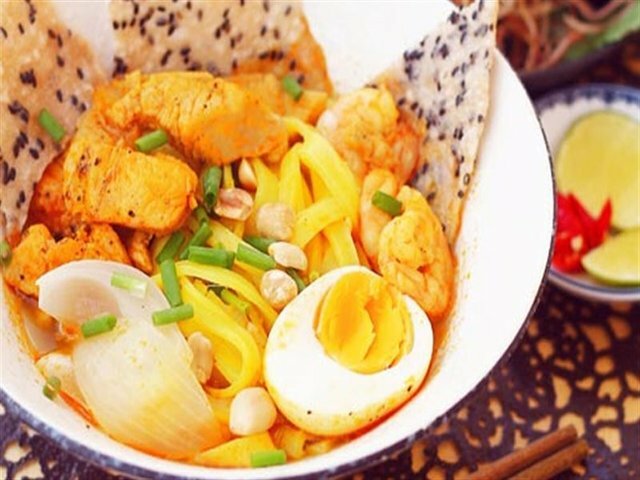 Ingredients vary by establishment, but expect to see a simple bowl of meat noodles enlivened by additions like flavoursome oils, fresh sprigs of leaves, shrimp, peanuts, mint and quail eggs. 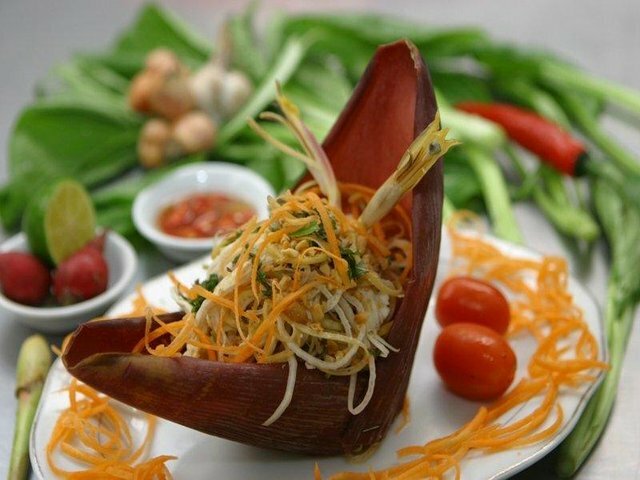 Vegetarians rejoice, Nom Hoa Chuoi or banana flower salad, is a great meat-free option. Lime and chili are the key flavors and add a refreshing punch to the shredded veg. Com Tam is a street-stand favourite. Recipes vary, but you’ll often find it served with barbecued pork or beef and a fried egg.